Businesses around the globe have been expanding themselves and trying to grow by coming up with creative ideas, services and offers that their customers might actually need. This is because most of the services offered to them are not up to pace with today’s world. Therefore, if you, as a business, do not change your policies and services, then your customers will start losing interest in you. One such need for change comes for hotel bookings when done for short stays. Many times it happens that a traveller might be in need for a hotel room for a short period of time, say an hour or two, but ends up booking it for a full day, and paying accordingly! This is because many hotels do not book rooms for a short time period. This proves to be very inefficient for travellers who have to pay hefty amounts even for micro stays. 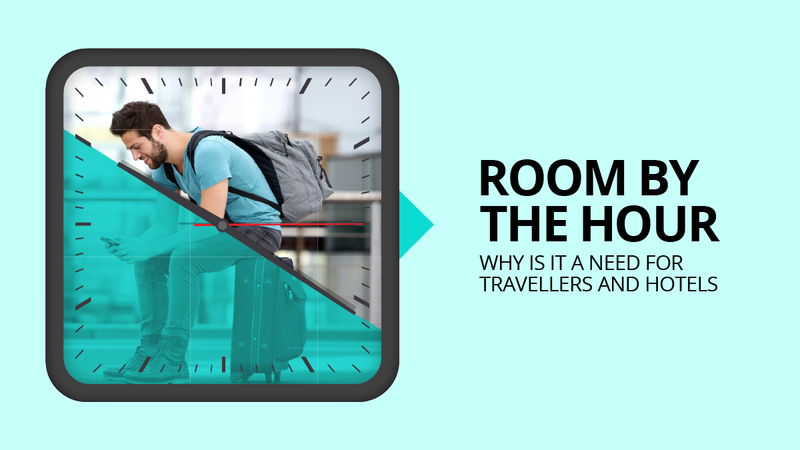 Why Travellers need Hourly Hotels! Travelling, while being a fun activity, can be very tiring and wearing. The need to stop and take rest is very important, especially when long distances are to be covered. However, travelling is not only done by backpackers and tourists. There can be numerous reasons because of which a person might need to travel across cities, states or even countries. However, whether a person is on a business trip, pilgrim, in transit between places, leisure travels or even backpacking across a country, the need hotel rooms is undeniable. But usually, it so happens that the traveller only needs accommodation for an hour or two, to freshen up and take a nap, before he has to move on to the next destination. Therefore, they will need a place that can give them a room for only a short time, and charges accordingly, so that they can save as much as possible. This is why day care hotels are what these travellers need the most! Why Hotels need Room by the Hour! The occupancy rate of most hotels is not very much. Less than 60% people tend to opt for hotels even while travelling. Even if they are in transit between destinations but have a couple of hours to spare, they will rarely choose to book a hotel room for themselves. This is because of the high prices they have to pay even for short hours. Higher Occupancy Rate- India is a country where tourism is a very big sector. People not only from abroad but from within the country itself, travel to other parts of the country for all types of businesses. However, if hotels cannot provide rooms for a short period of time, then they will never book one for themselves! Therefore, by giving them what they need, hotels can attract a section of travellers that have never wanted to book a room for the whole day! This is how higher occupancy rate can be achieved by them! Additional Charges- New opportunity for making money can arise if hotels start providing rooms for short stays. One such opportunity is to apply additional charges for hourly books for late nights. By doing so, hotels will not only be offering the travellers what they desperately need, but also be benefitting their business! Change is the law of nature. Hence, hotels do need to change their services and policies to accommodate the changing demands of the market! Therefore, Rooms by the Hour is a chance for the hospitality industry to open new doors for their business and help lift the falling market! Why Choose Hotels Per Minute? When you think about booking a hotel by the hour or by the minute, luxury isn’t what comes to mind, especially if you’re booking it last minute. A hotel, whether during the day or night should be an economical, pocket-friendly, safe and secure place. Hotels do not allow micro stays, they charge you for the entire night or day even if you stay for a couple of hours or minutes. But a new Pobyt app is hoping to change that by allowing users to book high-end hotel rooms for day use where they pay by the hour. Some travel for business, to explore the world or for personal reasons. Some travel with excitement while some travel due work. But we all travel, sometimes within the city, sometimes to other parts of the city, state or country. We all need to rest for a few hours? Where do you stay? It is a question on everyone’s mind and the answer is short stay hotels or hotels per minute. Start your short stay expedition by downloading the free app Pobyt, searching for a hotel closest to you, and hit the “book now” button. Rooms are available the instant you book it! Once you pay for the room, the app allows you to travel to the hotel by giving you a 60 mins buffer time. Spend however long you need in the room and then just hit “check out” when you’re done. Once guests check out on their phone, the hotel receives an alert that the room is ready to be cleaned. You’ll be charged for the exact number of minutes you were in the room. Pobyt is one stop solution to all your needs and allows users to rent out rooms at luxury hotels per minute. Pobyt.com is a hotel booking platform with which you can book hotels per minute. The specialty is that they offer hotels for micro stay for all sort of business and personal stays. Imagine you are a business visitor who would like to book a hotel room for a meeting for only 3-4 hours, why pay for the whole day? Imagine you are a couple who would like to spend some precious and private time with your partner and do not need hotel rooms for the entire day? Booking hotels this way will help you to reduce the room costs almost by 50-70%. So, book the hotels with Pobyt and pay as much as you stay with no extra charges! Want to book a hotel room with all the amenities, for a few hours? Here is a fresh innovative option for booking short stay hotels that allows you to book rooms for a few hours at budget friendly rate. The thumb rule for the hotels across the globe is to charge the customers for an entire day, or on a per night basis. This is all set to change with a whole new concept of renting rooms on hourly basis, which is being offered by Pobyt – a hotel booking platform, that has simplified short stays. So you can stay short, and pay less! How does the short stay hotels actually work? Simply open the Pobyt App – choose a nearby hotel – pay and confirm your booking, as simple as that. Check-in and check-out time is instant and flexible. Prices will be charged differently for single and double occupancy rooms. A valid photo ID issued by the state or central governments will be required at the time of check-in. Acceptance of unmarried couples is uncertain and subjected to change per hotel. All these terms and conditions vary from hotel to hotel which is communicated in the app priorly. Generally, in hotels, the guests are charged for an entire day with a hefty amount even if they use the room only for a few hours. This will obviously burn a deep hole in the pocket! Here comes the concept of renting the rooms on an hourly basis. This innovative concept serves your purpose and is even lighter on your wallet. It not only benefits customers but also the hotel chains. You can save up to 70% of your total cost with short stay hotels when compared to regular hotels that charge on a daily basis. If you are on a day-visit to a city or a place and need to take a short break to get refreshed or just to take a nap for a few hours, short stay hotels give you a smart and fast solution. You need not check for relatives or friends or depend on congested waiting rooms anymore. Hence, on your next visit don’t get stranded, instead get a luxury stay at a lower price. Just book a short stay hotel through the Pobyt App and enjoy all the luxuries of a proper hotel. The concept of short stay hotels is the new revolution in the Indian hospitality industry and is all set to gain more momentum over time.